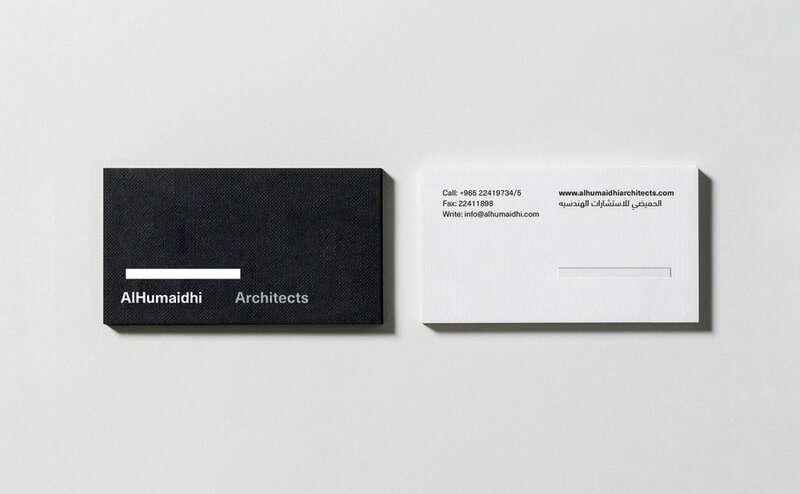 Al-Humaidhi is an architecture studio located in Kuwait, focused on providing each client with the most appropriate solution shaped by their needs. Baring this in mind, the branding concept explored the responsiveness and adaptability through simplified forms and a minimal look-and-feel combined with specific paper textures. The result was a logo capable of incorporating a customized message according to a particular context/client. The abbreviation of the logo into the symbol A—A is a response to the need to adjust to smaller screens and layouts. The brand recognition strategy on digital outputs seeks to conjugate two sides: abstraction and empathy, through the adaptability of the logo.